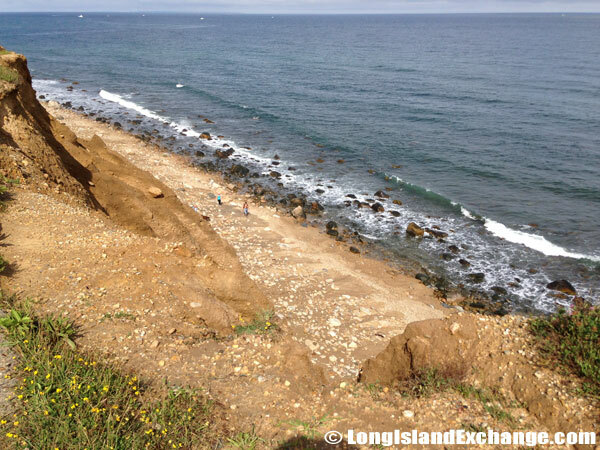 Camp Hero State Park is located in Montauk, New York just steps west from the Lighthouse park. Directions: Route 27 (Sunrise Highway) east to the end. 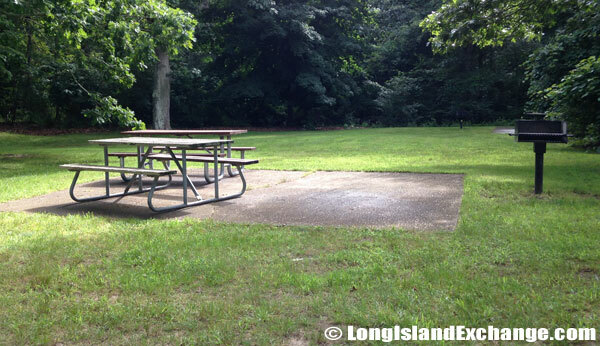 The park is approximately 130 miles from New York City. 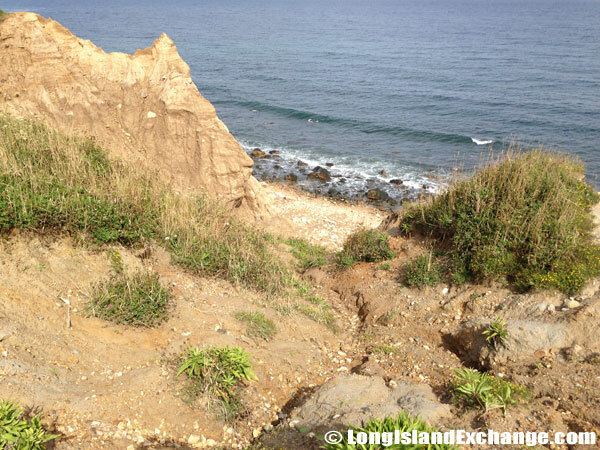 Camp Hero State Park is located in Montauk, New York just steps west from the Lighthouse park. 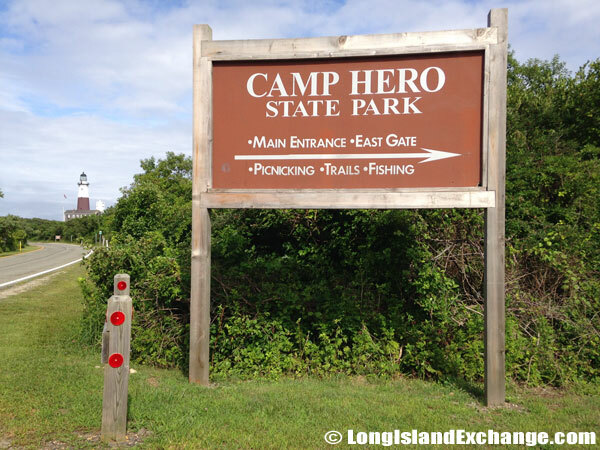 A sign welcomes visitors to Camp Hero State Park is located in Montauk, New York. 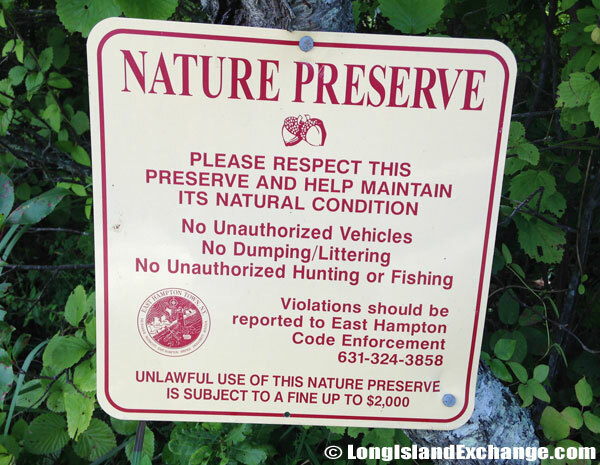 Nature reserve sign details fines and enforcement contacts. 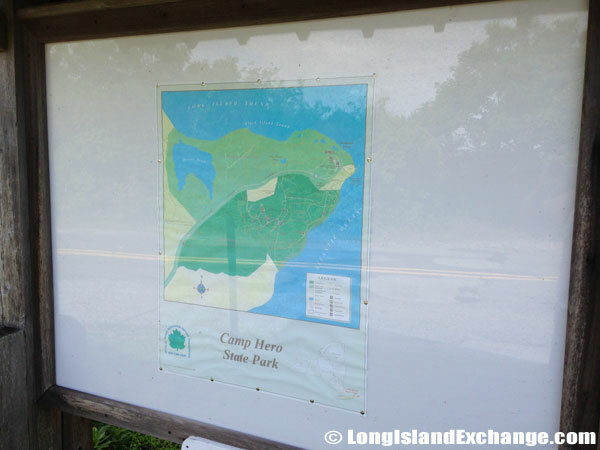 A map of the area at Camp Hero State Park. 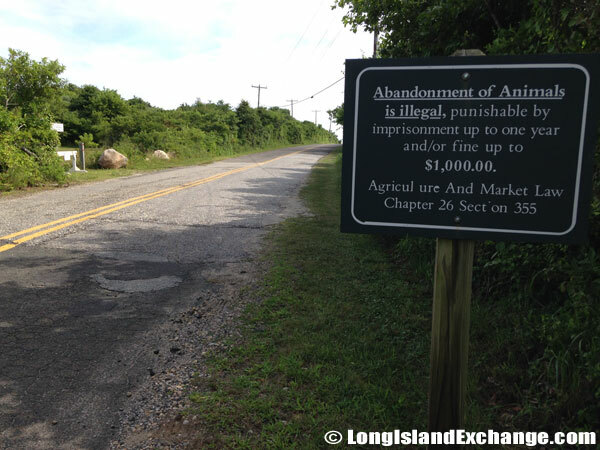 A sign reminds visitors that animal abandonment is illegal. 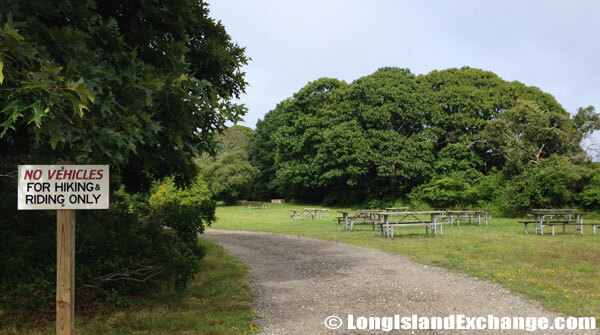 Area: Camp Hero State Park encompasses some 415 acres of the most precious part of Long Island. Diverse landscape includes heavily wooded areas, a long expanse of beachfront along the Atlantic Ocean, and an historic military installation. It remains very close today to the state in which it was when tribes crossed over the narrow strip of land that distantly joined Asia and North America thousands of years ago. Such wilderness and diversity of habitats is a very rare first hand experience anywhere in our conventional world. 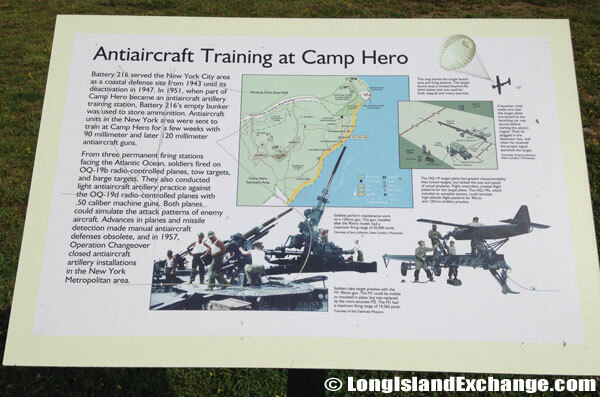 A sign details the history of Anti-Aircraft Training at Camp Hero. 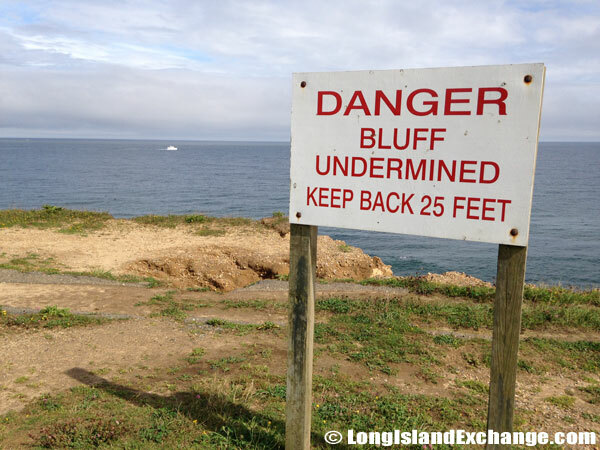 Warning: Bluff undermined, keep back 25 feet. 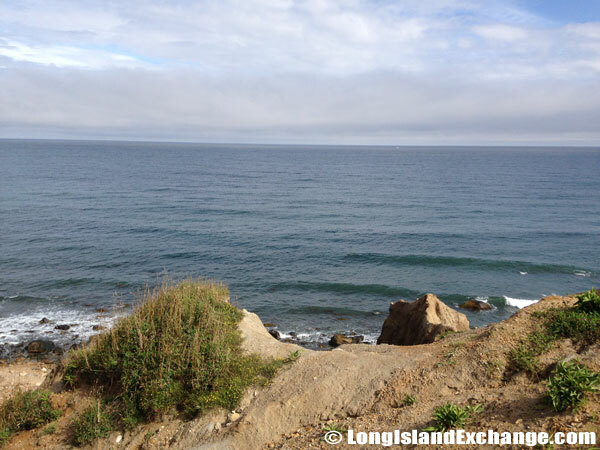 Spectacular ocean views and dramatic bluffs rising from the beach. 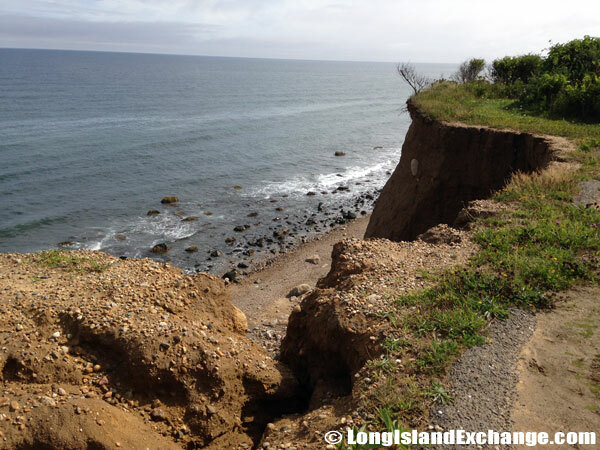 Steep bluffs arise from the sandy beach evoke awe and inspiration. 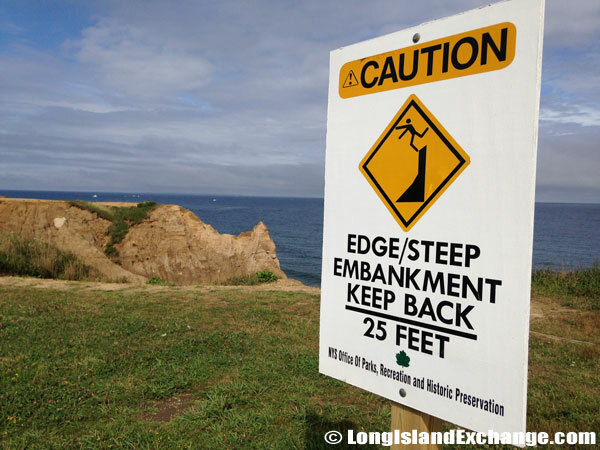 A sign reminds visitors to keep back 25 feet. 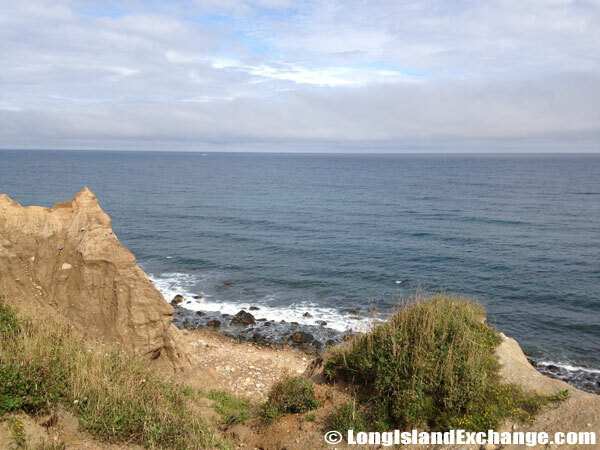 Overview: The Park is known as a former military base located at Montauk Point on the eastern tip of Long Island New York. 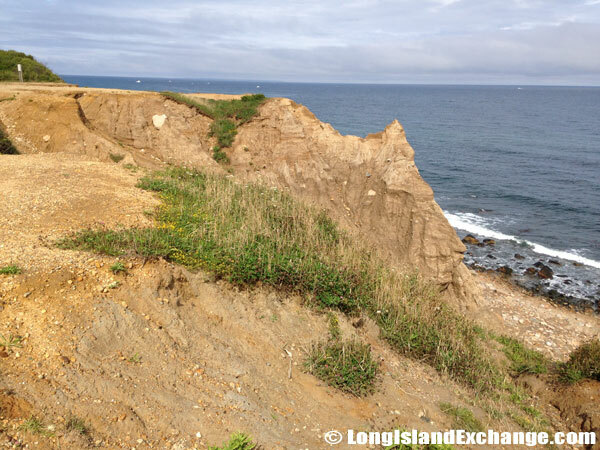 Vacationers should enjoy panoramic views of the Atlantic while the steep bluffs that arise from the sandy beach evoke awe and inspiration to many. 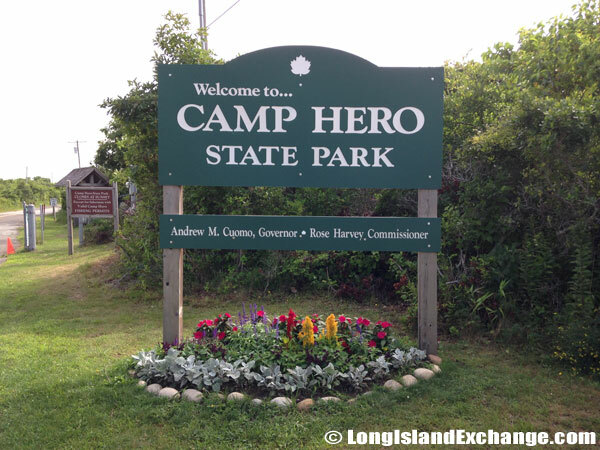 The pristine maritime forests, freshwater wetlands, and dramatic bluffs rising from the beach provide for plenty of activities and attractions at Camp Hero. One of several areas for picnicking. 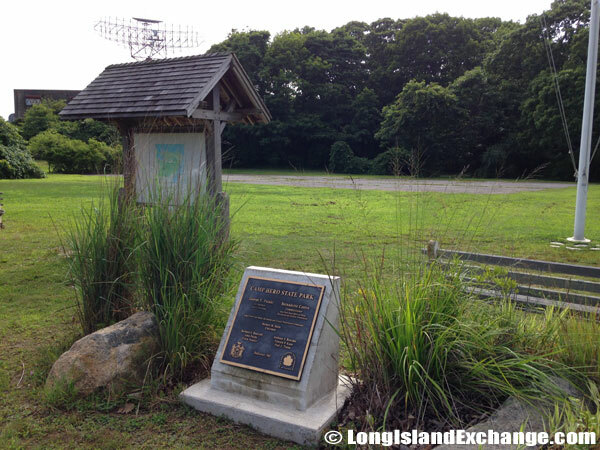 History: In 1929, the local government established Fort Hero on the point just south of the lighthouse. 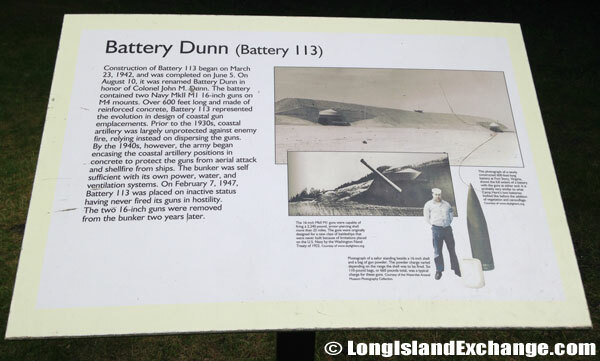 It was named after Major General Andrew Hero Jr., who was the Army’s Chief of Coast Artillery between 1926 and 1930. The whole facility, with U.S. Army and Coast Guard constituents, was officially known as the “US Military Reservation”, but the locals just called it “Camp Hero”. 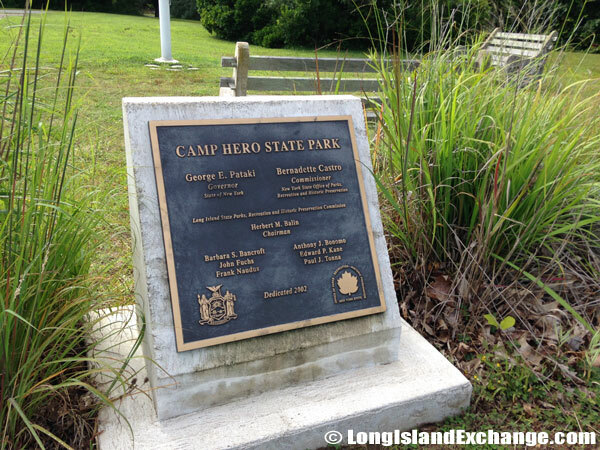 The park was decommissioned in the 1980s, and it is now owned by the New York State Department of Parks as Camp Hero State Park. 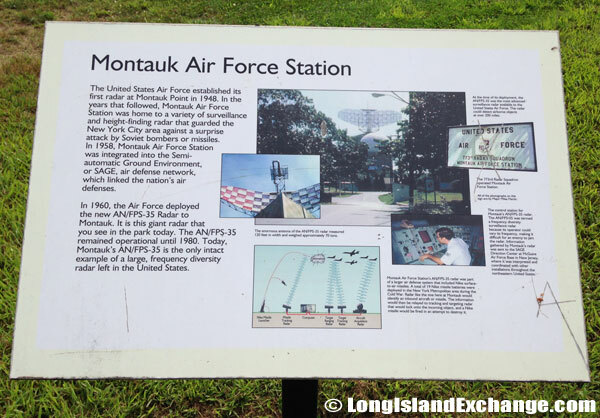 Montauk Air Force Station, first established in 1948. Camp Hero State Park memorial. Camp Hero State Park, AN/FPS-35 radar dish in the background. 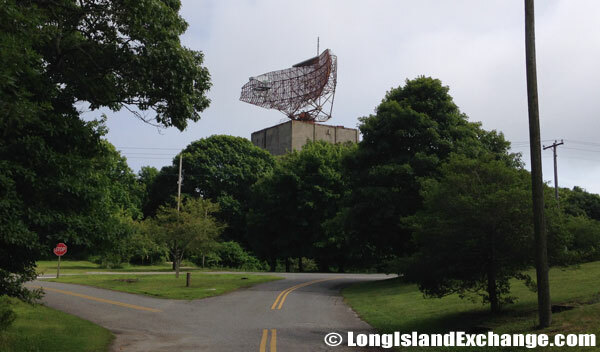 AN/FPS-35 radar dish at Camp Hero State Park, Montauk, New York. Facilities: Camp Hero boasts some of the best surf fishing locations in the world, open 24 hours a day to fishermen with permits, and areas for picnicking. Common game fish found in this area are striped bass and bluefish. It has also an extensive system of trails to challenge hikers, cyclists, and those who choose to explore on horseback. Cross-country skiing is possible in the winter season. Seasons/Hours: Open year-round, seven days a week from sunrise to sunset. Pets: Dogs are allowed on a leash no more than six feet long.